Wit & Whimsy Paperie was founded in 2014 and our studio is based out of our Charlotte home. Just 20 minutes from uptown Charlotte, Fort Mill, and Pineville we are available for in-person and phone consultations. 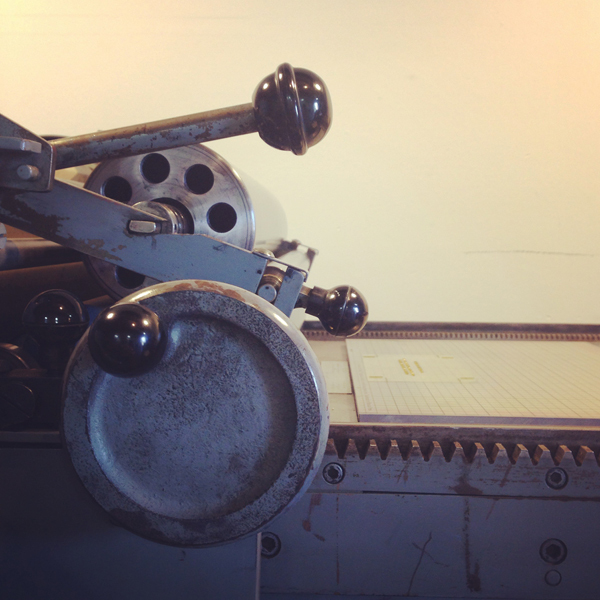 The heart of what we do is letterpress printing and custom design— whether it be wedding invitations, posters, or a logo we love creating and collaborating to make a piece tailored to you! We fancy all things paper and find joy in the details. All our collections are designed and illustrated in-house (from concept, design, plate making, to printing) making our process flexible and more affordable for you lovely people! As for the people behind the scenes, Heather (aka Boss Lady) has a BFA in Graphic Design with over 7 years of design and letterpress experience. Being a paper nerd and printing guru are labels she wears with pride. Before making the leap to start Wit & Whimsy, she worked at a boutique letterpress shop in Alexandria, VA as Creative Director. Business Manager, Josh, helps with press maintenance and operations. He ensures Wit and Whimsy is always up and running smoothly and efficiently. Built in 1949 this press is the oldest in the shop. 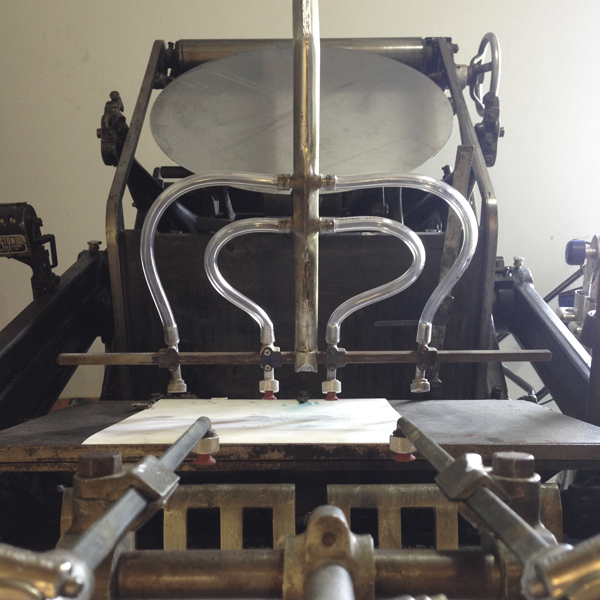 Our 12×18 Auto-feeding Kluge came to us in 2012 as our first press and leap into the world of letterpress. At over 3,000lbs of pure steel the transportation of “the Beast” was stressful to say the least, but we were excited to bring him home. 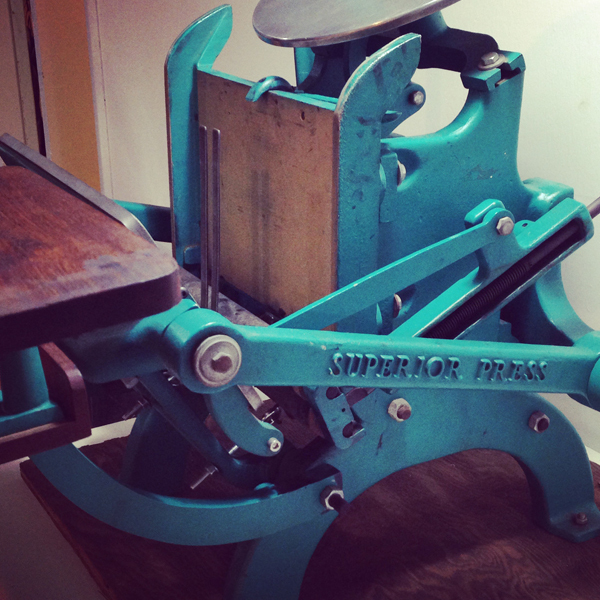 The SP15 was released in 1961 and is our bread and butter press. We acquired this all manual version in 2014 and use it to print anything from wedding invitations to posters. Since it uses no electricity, we save energy and can print even when the power goes out due to a zombie attack. In 1955 Craftsman came out with the Superior (basically a copy of the C&P Pilot). By shear luck we found this 6×10 table-top at an antique shop in Ohio and were more than happy to take it off their hands! It has a pretty good bite for a table-top and we love to use this little guy on small jobs.